Be careful who you work with because if care is not taken, they might end up hurting you. 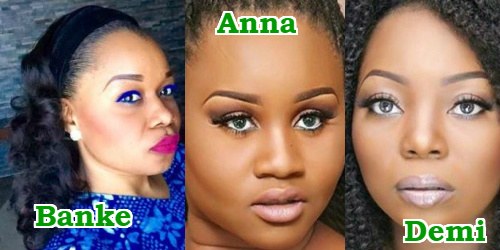 This is the case of popular makeup artist Banke Meshida Lawal the founder of BM Pro who allegedly witched hunt his former employees, Annabel Warrie ad Demi Williams after they decided to resign and start their own individual makeup companies. 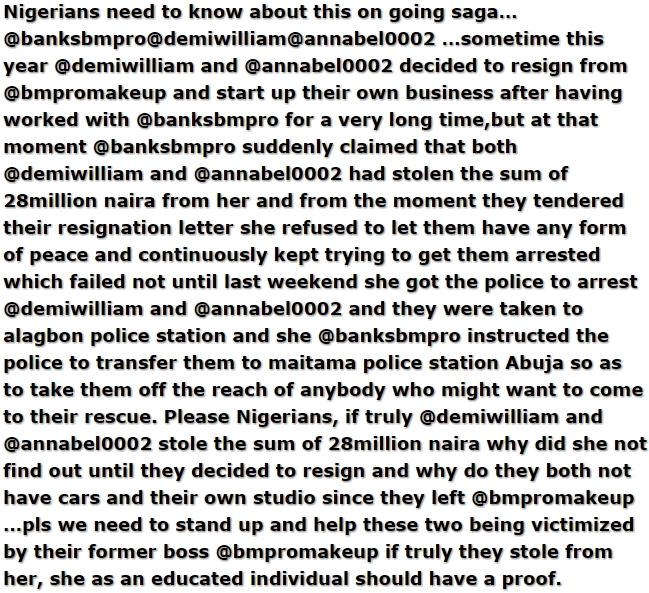 Banke allegedly lied to police that Demi and Annabel stole N28million from her in a desperate bid to stop them from becoming her competitors since they know the in and outs of her business. A friend of the two ladies Banke allegedly framed up took to the social media to call her out while appealing to the public to come to their rescue. It is only in Nigeria that Police arrests people without concrete proof. If they truly stole her N28million, why keep it to yourself until they decided to resign and start their own businesses.